How Long Before Used Huawei Smartphones Hit the Shops? Home/News/How Long Before Used Huawei Smartphones Hit the Shops? It was a story many in the tech world thought was impossible. The fact that Apple, the originator and innovating powerhouse of the global smartphone market, had some years ago ceded its number one position in the market to South Korean challenger Samsung was one thing. But for Apple to then further slip to being only the world’s third biggest smartphone vendor by volume – surely that was unthinkable? And so it seemed until, in the second quarter of 2018, it happened. Having enjoyed a brief surge back to the top of the tree in late 2017 on the back of the release of the iPhone 8, just six months later Apple was shipping fewer devices than the biggest disrupter of the smartphone market in a decade. With around 15% market share, Chinese manufacturer Huawei is now officially the world’s number two smartphone brand. Huawei’s rise to prominence has been as swift as it has been surprising. The close affiliations between the company and the Chinese state have led to controversy and hostility in some quarters. In the US, for example, no major carriers sell or market Huawei devices. Yet the company itself has made no bones about its intentions to dominate the global mobile market. As recently as 2016, it set out a five-year plan to become the biggest smartphone vendor on the planet, aiming to eclipse Samsung by taking 25% of the market. Based on current figures, it is ahead of schedule. So what is behind Huawei’s rise to prominence, and can we expect it to achieve similar status in the used phone market, too? One reason for Huawei’s success is that it does not just restrict itself to device manufacturer. In fact, the company has a stake in pretty much the entire mobile telecommunications ecosystem, playing a prominent role in global development of 4G and now 5G infrastructure, and overtaking Ericsson as the world’s largest manufacturer of telecoms equipment. That has given the company a solid platform from which to launch its assault on consumer markets. Secondly, it has to be said that Huawei develops products that appeal to mobile phone users. Following Samsung’s model of creating smartphones for a range of price points, Huawei first gained traction in Europe with its mid-range Honor brand, adding in little sweeteners like premium quality camera technology to create a point of difference to competitors. Since then, models like the Mate 10 Pro have earned favourable comparisons with top-spec Samsung and Apple offers but, crucially, at considerably lower prices. Examples like the P20 Pro, meanwhile, with its triple 40MP rear camera, have taken smartphone photography to the next level. In many ways, Huawei’s success has been based on offering a smartphone for everyone. First place in second hand? So when can we expect to see used Huawei devices enter the mainstream and be available in high street shops? Many Huawei models are comparatively new, and there is always a lag from release date until you start to see significant numbers available on the used market. Also, the used mobile market is dominated by top spec Samsung and Apple models because of the perceived value on offer buying these premium priced devices second hand. As Huawei phones tend to be cheaper anyway, this is not so much of an incentive. However, with 15% of the global new device market and plans to keep growing, it is inevitable that more and more used Huawei phones will start to appear on the market as owners look to trade them in and upgrade. 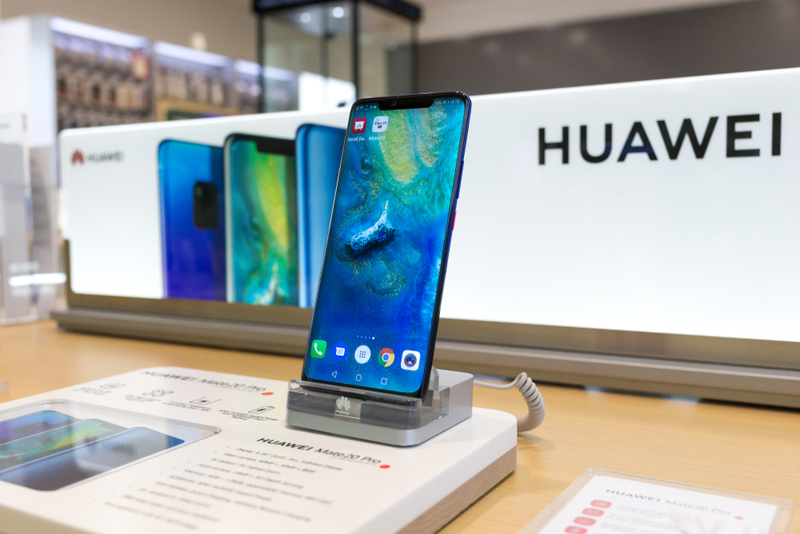 We expect that throughout 2019, Huawei will be a brand to watch out for in the pre-owned mobile trade.